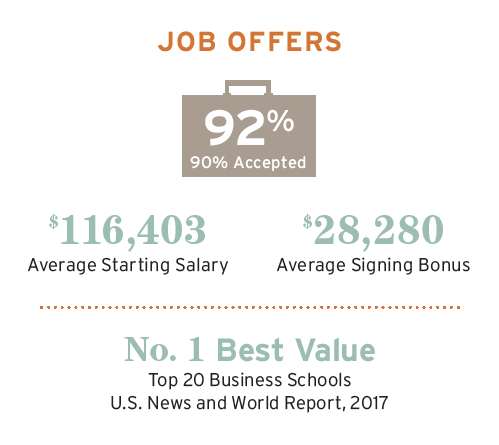 For the past two years, The Texas McCombs MBA has been ranked #17 in the country by U.S. News and #1 for Best Value, due to the strong return on investment for our graduates after working with our dedicated Career Management team within one of the largest business school networks in the world. 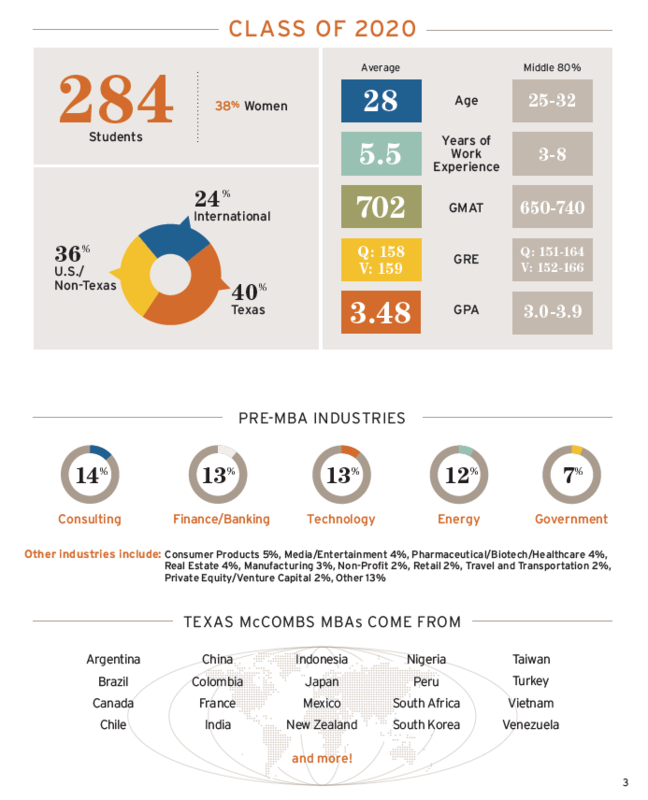 Statistics for the MBA Class of 2017 as of September 30, 2017. Read our GMAT/GRE blog series to prepare for your test. Review our new application essay topics and start thinking about your responses. 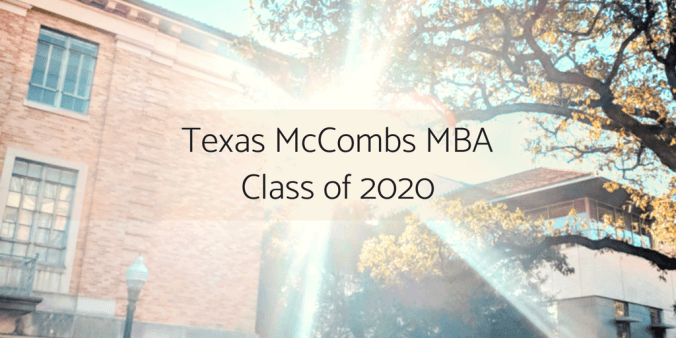 Attend an upcoming MBA event to meet admissions staff and alumni. Learn about our new center for graduate education: Rowling Hall in McCombs Magazine. Send a message to the Admissions Committee with any questions you have.